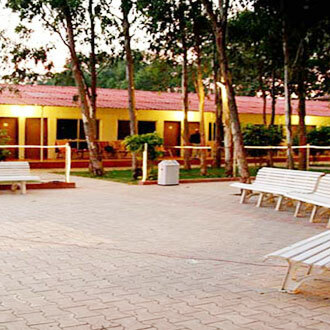 Located four kilometer away from Shed Shivopar Darga, Orchard Resort maintains a total of 42 well furnished rooms that offer a comfortable accommodation to its guests. The hotel maintains a travel desk to arrange sightseeing trips of Pune. An in-house restaurant is available in the hotel where guests can enjoy lip smacking meals. Guests can get rejuvenated along with their families in well built swimming pool. This smoke free property provides smoking rooms as well.